Alex Ilchenko is the Head of Pallett Valo’s Insolvency & Corporate Restructuring Practice. He is also a member of the Commercial Litigation, Remedies, Cross Border and Alternative Dispute Resolution Services Groups. As Senior Counsel, Alex has spent over 25 years as a seasoned litigator, with a strong insolvency & corporate restructuring commercial litigation practice. He represents debtors, secured and unsecured creditors, trustees and receivers, lenders, suppliers, and landlords in Bankruptcy and Receivership proceedings, as well as proceedings under the Companies’ Creditors Arrangement Act (CCAA). Alex appears before the Ontario Superior Court of Justice, Commercial List, and the Bankruptcy Registrar’s Court. He has also appeared before the Nova Scotia Supreme Court and the Court of Appeal for Ontario and in proceedings before the Supreme Court of Canada. 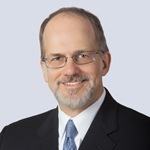 Alex’s extensive experience enables him to represent trustees in bankruptcy, receivers, and monitors appointed under the CCAA, as well as individual and corporate debtors, secured and unsecured creditors, landlords, purchasers of assets from insolvent entities, construction lien claimants, directors of insolvent entities, auctioneers and liquidators.